Mystic prints, natural materials and tropical surprises: the Avalon collection by Arte brings the tropical heat into your home with its unique structural prints, no matter where you might find yourself. It’s inspired by the legend of the Isle of Avalon, the mythical place shrouded in mist where everything grows in abundance. 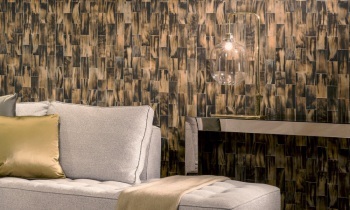 Dress up your walls with warm natural effects, like leather and woven grass, and add tropical colours with distinct style and class! 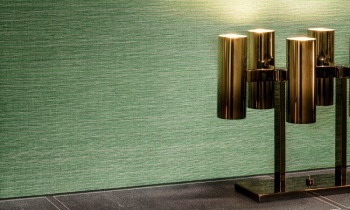 The wallpaper collection consists of six designs that can be supplied in different colour palettes. FlamingoFlamingo is the collection’s eye-catcher; it’s your direct ticket to the tropics. 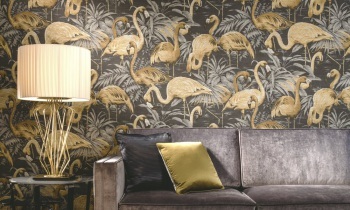 The colourful print covered with flamingos immediately draws one’s attention, while the tangible structure of the woven grass gives this wallcovering another dimension. GazelleThe sun reflects off the gazelle’s horns as she elegantly bounds across the plains. A dazzling pattern is created. While we’ll leave the gazelle to continue her majestic journey over the plains, we won’t leave our walls alone, happily covering them with the carefully replicated horn print. GladeA sultry, hot jungle, hidden in the mist. It’s easy to dream the day away when you’re surrounded by colour and tropical animals. 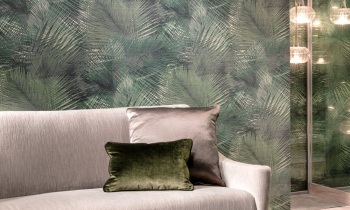 Glade brings the jungle into your home with a mysterious forest design on a tangible, woven structure. MarshWalls of woven grass - it’s almost as if you’re spending a night in a lodge out on the savanna. 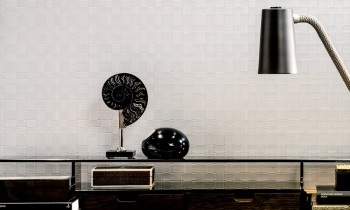 The structure has been realistically recreated, which lets you subtly bring a truly exotic feeling into your home. You’re sure to find a suitable tint for any interior from among the seventeen colour variations. ShieldThe palm tree has undergone an evolution this past year, going from a popular tropical symbol to a stylish element in refined interiors. The highly detailed palm leaf print invokes a botanical ambiance. The tangible structure of woven grass makes the pattern dynamic and intense. WeaveAuthentic, robust natural products are the roots of this collection. The Weave design is based on braided leather, a material that exudes the ambiance at the heart of Avalon like no other. The braided leather relief has been realistically recreated, which makes your walls look like they’ve been decorated with actual leather.